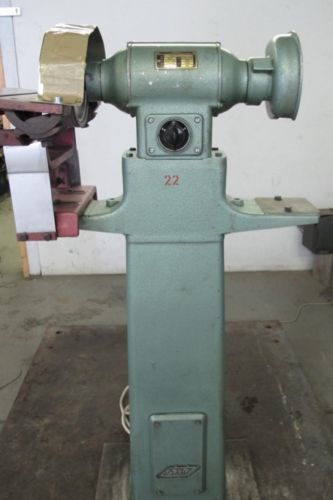 Very nice little Greif Model #DHL-1-0 dual grinder with pedestal mount and tilting slotted table on one side. Set up for European voltage but runs fine on American 220V. Please note that this a 3-phase grinder.